> Learn > Community Portal > What Can Communities Do? reducing the harm caused by use of alcohol or other drugs. Below are some examples of how these strategies can be used and the steps that different communities have taken to address alcohol and other drugs issues. to be involved in community activities such as sport and recreation. Keeping communities and families strong helps to protect young people from the harms of alcohol or drug use. Successful and lasting community action begins with finding out what people in the community want and getting support from leaders. Working in partnership with organisations and community groups, such as Elders, community councils, schools, sport and recreation centres, health centres, and family support agencies will greatly increase the effectiveness of addressing alcohol and drug use in the larger community. 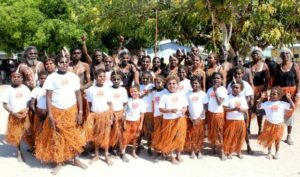 is a community controlled organisation that provides a range of evidence-based health and support programs to men, women, families and children of Pormpuraaw. program in South Australia is also an example of a program that works with organisations and community members to address and prevent harms from alcohol and other drug use. A mobile team visits communities and helps to design a strategy that best suit the needs of the community. Community projects usually need some source of funding to support their activities. Sometimes it is helpful to seek a partnership with a local agency if you are just starting out. There is a range of funding sources available to support community projects. has funding available through a Community-led grants process that enables Aboriginal and Torres Strait Islander people, communities and service providers to apply for funding that addresses an emerging need or opportunity. Applications can be made at any time. Click here for more information on Community-led grants. The National Centre for Education and Training on Addiciton (NCETA) have created an online toolbox to help organisations and individuals apply for funding, called FundAssist. This resource guides people through the application process and identifies possible funding sources for groups and communities working in the area of alcohol and other drugs. The Knowledge Centre also has a list of funding opportunities. Local drug action groups can help provide support to community members wanting to start a project or who are concerned about drug and alcohol issues in their area. They may be able to provide assistance to access funding or support for local activities to prevent harm from alcohol and other drug use. making sure that children or young people under 18 years of age do not have access to alcohol. Aboriginal leaders in Fitzroy Valley, Western Australia were able to introduce alcohol restrictions in their community, to reduce alcohol related harms. Depending on the state or territory in which you live, it may be possible for some Aboriginal and Torres Strait Islander communities to declare their communities ‘dry’ – that is, to prohibit the sale or consumption of alcohol within their boundaries. When initiated and supported by the community, these bans can help reduce health and social problems that come with drinking too much alcohol. The Yalata community in South Australia and the Titjikala community in the Northern Territory are just two examples of communities that have used dry community declarations as part of a number of strategies within an alcohol management plan. One way of reducing the supply of alcohol is through liquor licensing laws. Liquor licensing laws allow people from the community to object to a new license being granted, or place certain restrictions on the sale of alcohol if it is likely to increase alcohol related harm in the community. is another example of how local community groups can work with police, council and other agencies to reduce alcohol related harms in their area. Liquor licensing laws differ between states and territories. Communities should contact the liquor licensing office in their state or territory to talk about how they can apply for additional restrictions on alcohol supply. Click on the links below for contact details of each State Liquor Licensing Office. Reducing the supply of volatile substances is a strategy that has been very successful in reducing the harm caused by petrol sniffing. Low aromatic fuel (or LAF) contains fewer of the ingredients that can be sniffed. Supplying LAF instead of unleaded petrol in Central Australian communities has led to a reduction in the numbers of young people sniffing petrol and therefore a reduction in the harms caused by petrol sniffing. Refusal to sell other volatile substances, such as paint and glue to young people has also been effective in reducing sniffing. are examples of programs that have successfully addressed volatile substance use by reducing both the supply of volatile substances and by providing activities to engage young people. Find out more about Volatile substance use and LAF in our Volatile Substance Use Portal. Sometimes people are not ready to stop using alcohol or other drugs. Sometimes people take a long time to come off alcohol and drugs. There are community services that keep people safe and help people find support to reduce and eventually stop their alcohol and drug use. These community services are an important part of reducing the harm from alcohol and drug use. For more information on community programs see the program list below in Key Resources.